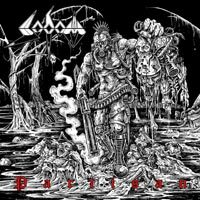 Unbeknownst to me that SODOM had a brand new lineup, I started listening to the “Partisan” EP, being excited getting new music from this reliable Thrash band. Yeah, there is a new lineup behind the two brand new recordings (the third is a live one), and if you are of my age spectrum, then you may have started listening to SODOM during the “Persecution Mania” era, and that means having Mr. Frank Blackfire on the guitars. If this news did not temp you to headbang, then you have missed the German Thrash train all together, so you better do some homework. 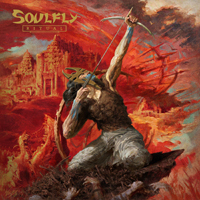 Soon after having started reading Max’s biography, I realized that I had completely missed the latest SOULFLY offering, titled “Ritual”. So, felling jacked up from digging into the SEPULTURA / SOULFLY history through Max’s eyes, I needed some music to get the edge off. After all, Max has been a trusted source when it comes to Thrash with tribal infusions which is focused on the groove. If you do not understand what I am talking about, then “Ritual” might be great starting point to being your trip backwards in time. Back in the day, when almost everything in Heavy Metal and Hard Rock was fairly new to me, a friend lent me “Scratch And Bite” and since then, I've been hooked on TREAT for life. Sure, some time there in the early '90s, their style wasn't really what I proclaimed to be as my favorite, but I’ve never stopped listening to them. 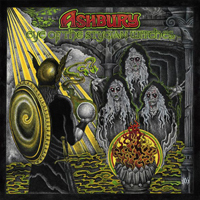 I can't claim to be one of them who have known ASHBURY since dawn of time. No, I was quite late in discovering them but I can indeed say that when I finally got around listening to “Endless Skies”, I got hooked immediately and still am. I love the sense of melody in the music and the Davis brothers have an outstanding ability to write captivating vocal lines.